Spectators all over the world always await the show of all shows every year, as WWE unleashed 2016’s biggest pay-per-view to date, Wrestlemania 32. Happened last April 4 at AT&T Stadium, WWE seemed to have used up all the creativity that they have for the last couple of months to put up the match cards. Did it live to the spectators’ expectations? Let us find out as we look at all the matches that transpired that night. An average David vs. Goliath match between the two. Nothing too out of the ordinary from both guys. It was remarkable to see Ryback demonstrated other moves. It was highlighted when he hit Kalisto with a Michinoku driver. But, Kalisto’s craftiness was on display by the end with the exposed turnbuckle into the Salida del Sol. For a midcard feud, this was okay. If they plan on a lengthy feud, they better do something better than this one. However as seen on how Kalisto won the match, this feud was far over until we have to wait on what will happened next. This match seemed like rush. How can a match be memorable if the build-up is only established few days before Mania? Eva Marie looks confused as hell. Her movements and behavior towards her teammates are inconsistent all throughout the match. She still has that heel stint that we know. She has I wish she just walked away mid-match to keep her heel status consistent. Lana’s in-ring debut was underwhelming. I can say she showed a lot (wardrobe) without showing much (in-ring ability). Let us not forget how Emma stand out during the match. She demonstrated moves that we rarely see when she wrestles for the main roster. It is satisfying to see it and it only shows how talented she is. Brie’s take on her husband’s Yes Lock was nice. And Nikki coming out at the end was a heartwarmer. But it still wasn’t enough to save this hot mess of a match. The match was fast with too much action, but it was not something that will make feel thrilled at all. 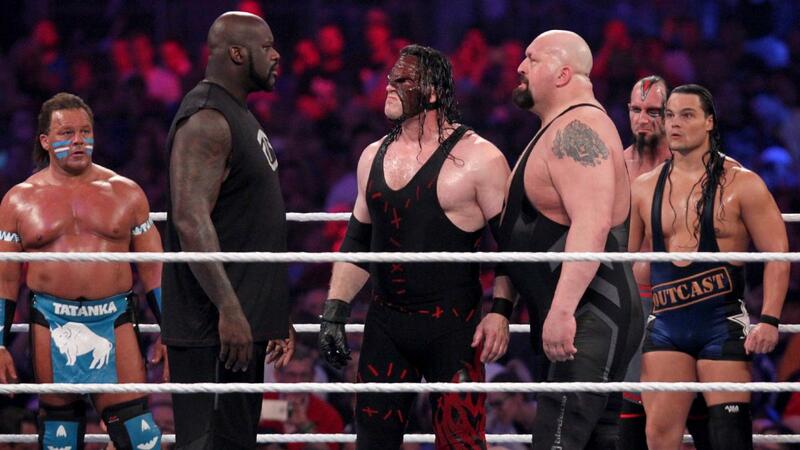 Ending the kick-off was this tag team match. Solid outing from both teams. Above average match overall. Dudleys get their comeuppance post-match with simultaneous Uso splashes from the top rope. However, you can easily point out that this match is already been the same one you always see in Raw. So, there was nothing really special and at the same time, it was also underwhelming. This match was explosive! Polka Dust honoring his dad with his ring gear (“Hard Times” at the back) and custom ladder? The first exchange between Zayn and Owens bringing us back to their Ladder War in Final Battle 2012? Everybody got their opportunity to shine in the match. At the start of the match, you can already see not only action, but their passion and hunger to get into the top of a ladder and bring that belt down from the ceiling. But it was Zack Ryder’s star that shined the brightest. As we know, Zyder was just a replacement for Neville after he got injured. Thus, this make his win touched the audience’s hearts. A post-match celebration with his dad was icing on the cake, a great ending for an incredible opener. We just hope there would be a new dimension to Ryder’s character because we believe that’s what was missing during his U.S. Title run. Nevertheless, we’re excited to see how the Long Island Iced Z will fare as the new Intercontinental Champion. It was a historic night for AJ Styles as he became the first man in history to compete in both Wrestle Kingdom and WrestleMania of the same year. That being said, this was a wrestling clinic put on by both men, going move for move and counter for counter. The match started slow compared to the previous one. However, let us not forget how hype this match was for the audience and the build up it had for the past few months. We witnessed how AJ managed to kick out from Jericho’s Codebreaker and so as Jericho from AJ’s Style Clash (which was also used by Jericho against him) As much as AJ wanted to win using the Phenomenal Forearm, the veteran managed to snag a win using his finisher. Considering AJ got two wins over Jericho already, it was understandable that Y2J got the last laugh on this one. And besides, the Phenomenal One still has more WrestleManias to look forward to. Good outing from both men, anyways. What was initially billed as a 4-on-3 handicap match in the weeks leading up to the show turned into a six-man tag team match because reasons. It kind of threw us off because it seemed like a last minute match type change. The New Day’s Super Saiyan Booty-O’s entrance was incredibly entertaining. Who wouldn’t want to have a little run from nostalgia upon seeing their new ring gear? After that, there wasn’t much to say. Nothing too spectacular during the match. Just your run of the mill 3-on-3+1 match with the heels taking advantage of the numbers game. With Sheamus’ Brogue Kick and Bullhammer coming Barrett, The New Day were sent down the losing line of the day in an instant. 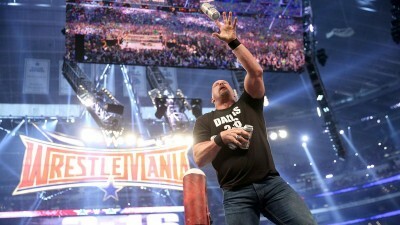 The post-match appearance by HBK, Foley, and Austin got a huge reaction. Austin gives everyone a Stunner as if he were Oprah and shares a few beers with his fellow Hall of Famers. And just like we said, it’s another adventure from the memory lane. For this bout, everybody was expecting a brutal, long and “more time to beat the hell of each other” street fight. This was an absolute fight that we didn’t expect would be pretty. A car wreck match, if you will. Lesnar and Ambrose did an excellent job in placing the hype of their match in the expectations of the fans during the build-up The crowd counting Brock’s suplexes during the match was funny at first, but it got old real quick. We could take note there were some creative uses of the weapons in the match, from kendo sticks to fire extinguishers to chainsaws. Somehow, we were not surprised that Brock came out on top in this one, with 13 suplexes and an F-5 onto a stack of chairs. However, it would have been remarkable if Ambrose pulled an upset and or the match could have been lasted a little longer. It could have shine like it is supposed to be if it was not rushed. Earlier in the pre-show, Lita unveiled the new Women’s Championship. 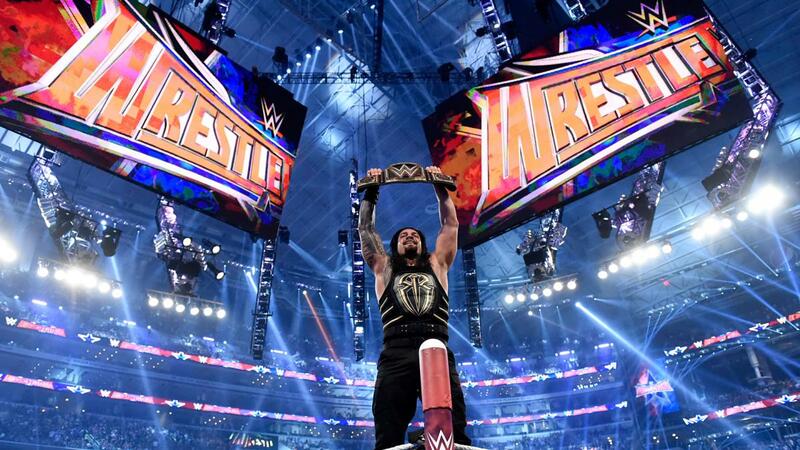 We must say it was great that it was based on the WWE World Heavyweight Title. It gives off that vibe that the Women’s title is on par with the big prize. We have to give Snoop Dogg the props for being the hype man for his cousin Sasha and performing his rendition of her entrance theme. Plus, the wrestling gears and entrance themes of each competitor gave off an aura that this match is not an ordinary Women’s Championship match like its predecessor. Now, on to the match: All three women were absolute fire tonight. Adding to their great chemistry from bell to bell was the presence of high spots. 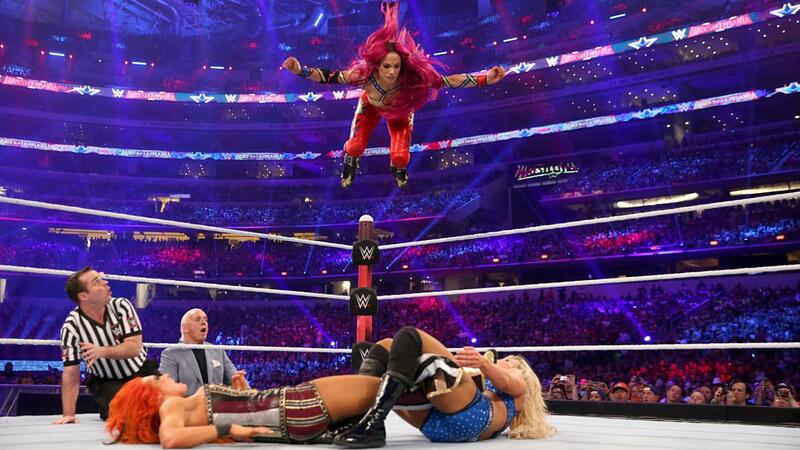 Not taking anything away from Becky’s suicide dive onto Ric Flair and Charlotte’s moonsault to the outside, but Sasha’s frog splash and suicide senton were a sight to behold. Regardless of the outcome, this was a fun match for everyone. It was the women’s wrestling that everyone is been waiting for. For the love of mankind (Michael Cole’s words, not ours. ), that was another good drag out brawl and one hell of a story told by both men. Shane’s Muay Thai and jiu-jitsu training were put to good use against the Undertaker. It’s safe to say Shane was crazy for doing the Leap of Faith off the top of the cell. 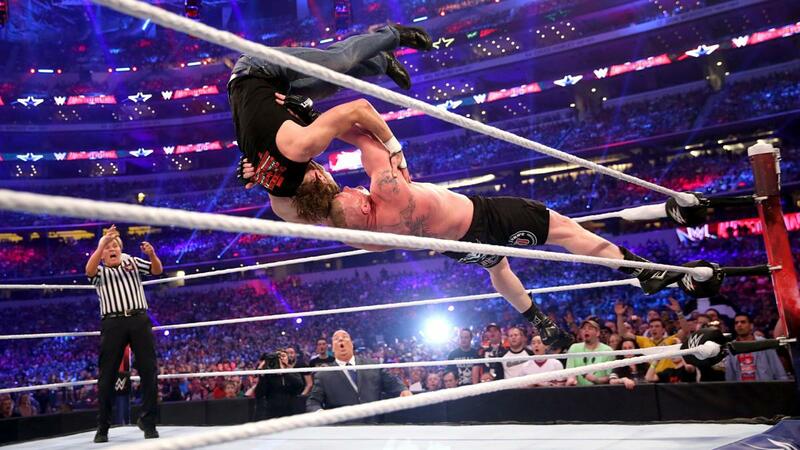 And to think Undertaker moved out of the way at the last second… he’s gonna be sore in the morning. (We got goose bumps there.) But with that outcome, we still have a chance to see Undertaker vs. Cena at WrestleMania. This match might be painful to watch again due to Shane’s dive, but it’ll be worthy to reminisce and probably, be placed on records someday. When done right, a win in the Andre the Giant Memorial Battle Royal is a nice feather in the cap. In this case, it established Baron Corbin as one of NXT’s top guys. He can use the win as a bargaining chip for a shot at the NXT Championship. It was a pleasant surprise for an otherwise throwaway match. As for the other surprise entrant, Shaq’s got another story to tell at Inside the NBA tomorrow night with Ernie Johnson, Charles Barkley, and Kenny Smith. We would also would like to give props to Tatanka and DDP, who entertained the audiences. However if we were going to talk about the match, it was rushed and underwhelming. It could have been more entertaining if there were finishers or eliminations that had been highlighted. Some entrants suddenly disappeared in the ring without being called out or being seen by the camera. It was a little frustrating since most of the entrants were talented wrestlers. As much as I’m a Rock and Cena fan (Emjay, speaking), it was tough for me to see that they had to get their cheers at the expense of the already undermanned Wyatt Family. This is not the Wyatt Family I know. And quite honestly, the entire segment was unnecessary. Everyone involved deserved better. After seeing Stephanie McMahon’s speech, we were both reminded of Shao Kahn w/ Sindel vs. Samoan Jax somehow. As what you expect from the King of Kings, this kind of entrance would really going to bury inside your skull, as what he wants to. Roman’s could’ve been better if the effects were timed right. As for the match, it was good but if the build-up was booked better, it would’ve been greater than great. Some of the crowd were spent with Shane vs. Taker while the rest weren’t invested enough in Triple H vs. Roman. 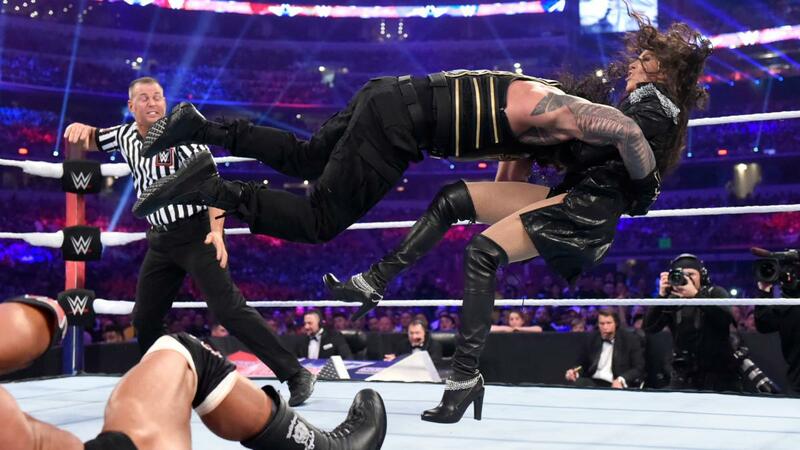 We have to give Stephanie credit for taking a spear like a trooper – that gave the audience a little wake-up call after being restless. However how much hard-hitting and action-packed the match was, it was clearly the least creative and predictable ending. We could conclude that WWE really wants Reigns to be a clean babyface. At the end, all the electricity that was been placed out all throughout the pay-per-view were extinguished. The two words that best describe this year’s WrestleMania for us are “what if.” Given the number of injuries in the current roster, you have to cut WWE some slack for trying to work with the pieces they had. Unfortunately, the output was the result of a series of unfortunate circumstances (mostly injuries to top stars), missed opportunities, and some surprises that fell flat. There were some things that we would’ve changed but there were some bright spots that made the show watchable. But do not fret, isn’t this what makes Raw worth watching for? 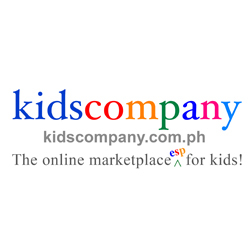 You can check out our guest writer’s Twitter account. 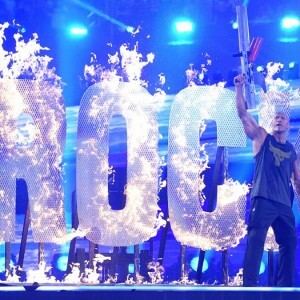 Credits: All photos are from the official site of WWE. Nurse by day but a geek 24/7. Cat Lady who loves wrestling. And can eat lots of sweets -- like a LOT.